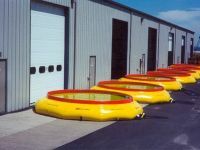 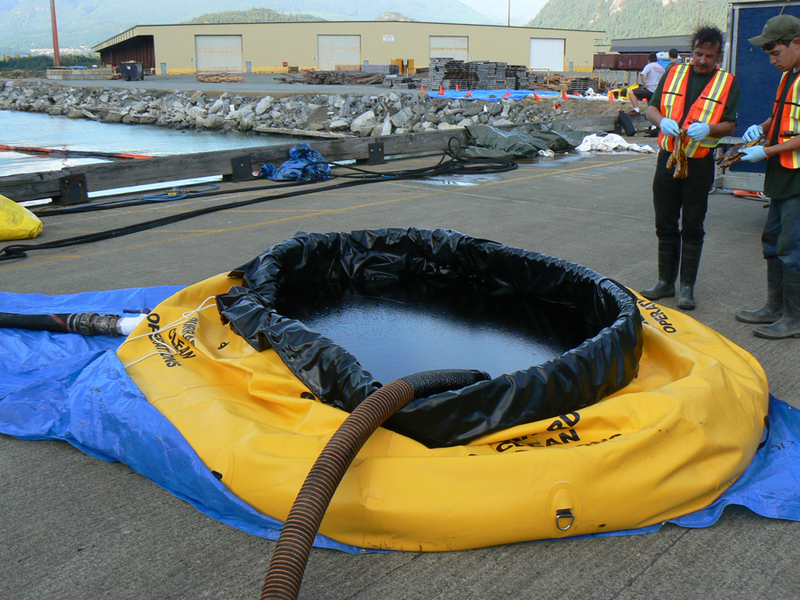 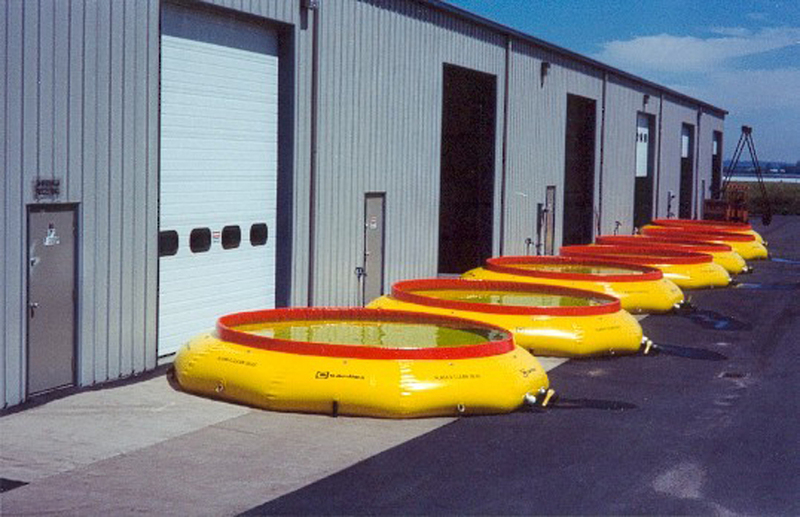 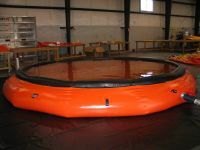 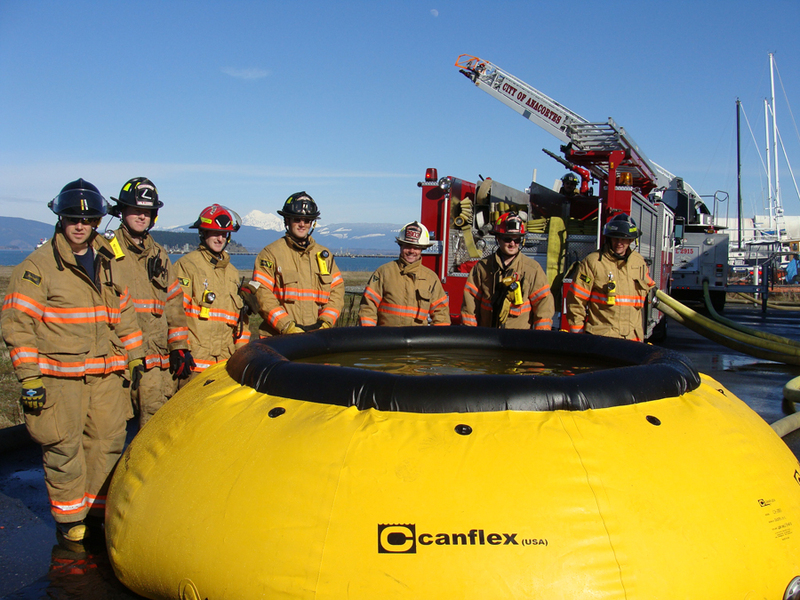 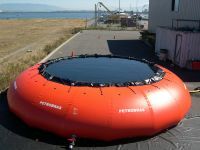 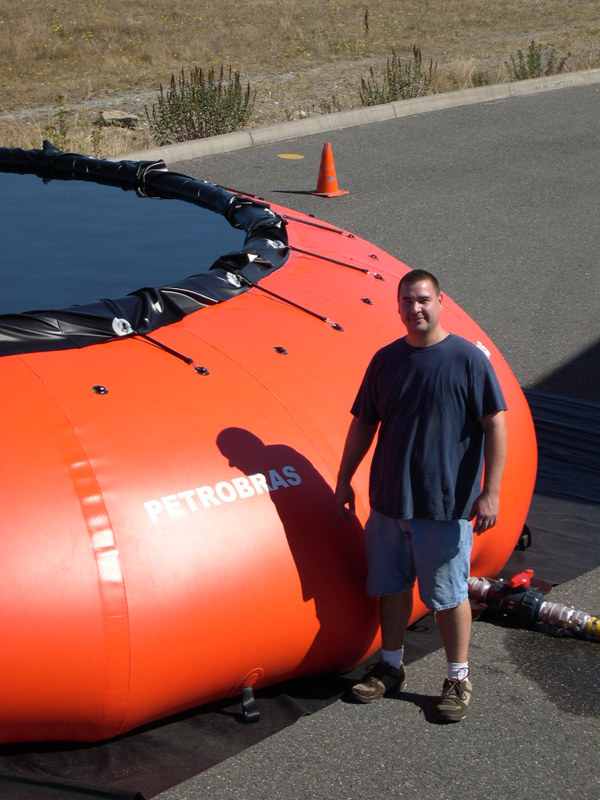 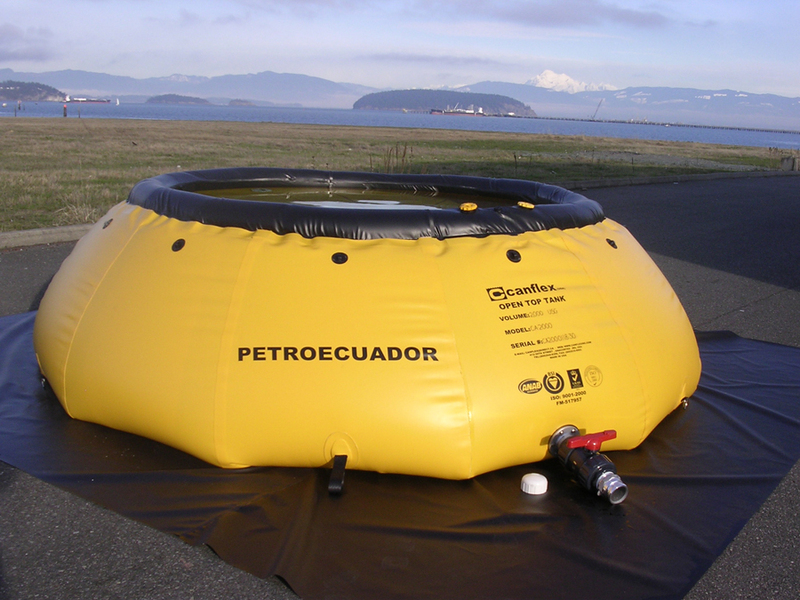 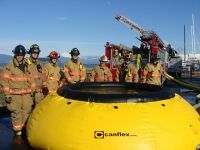 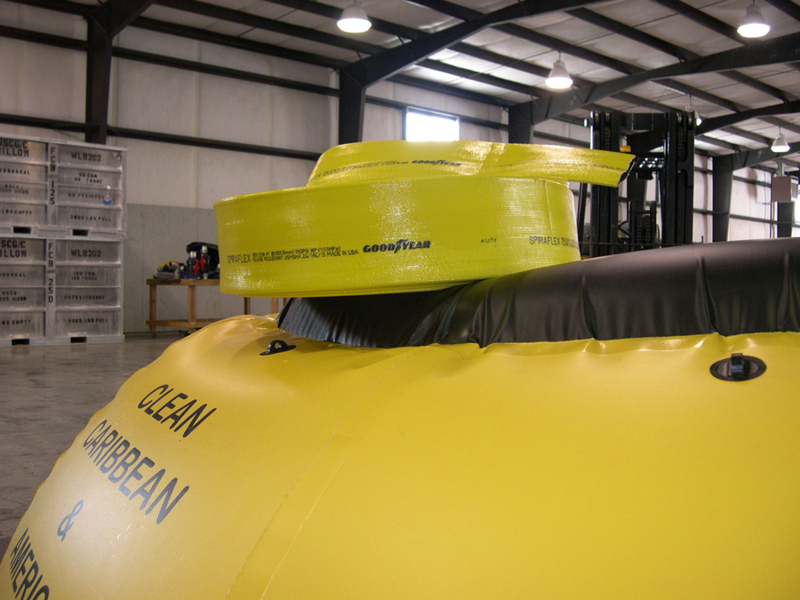 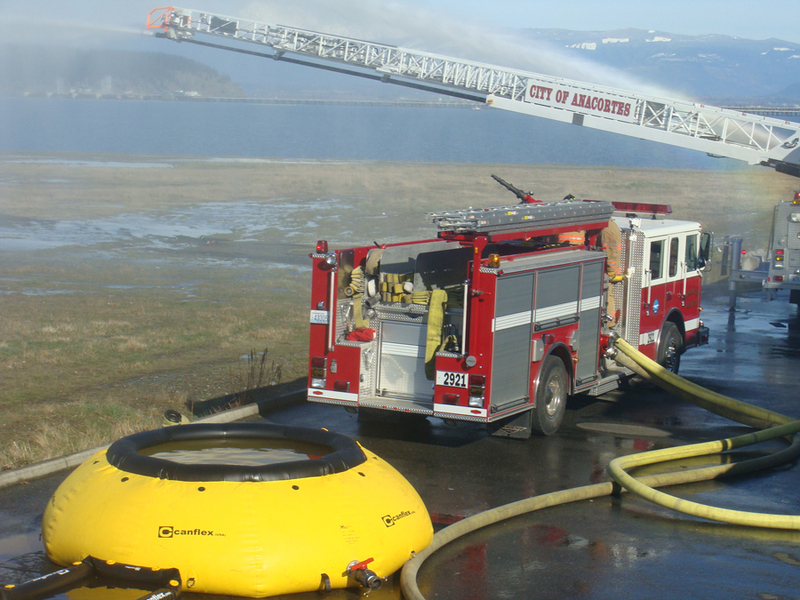 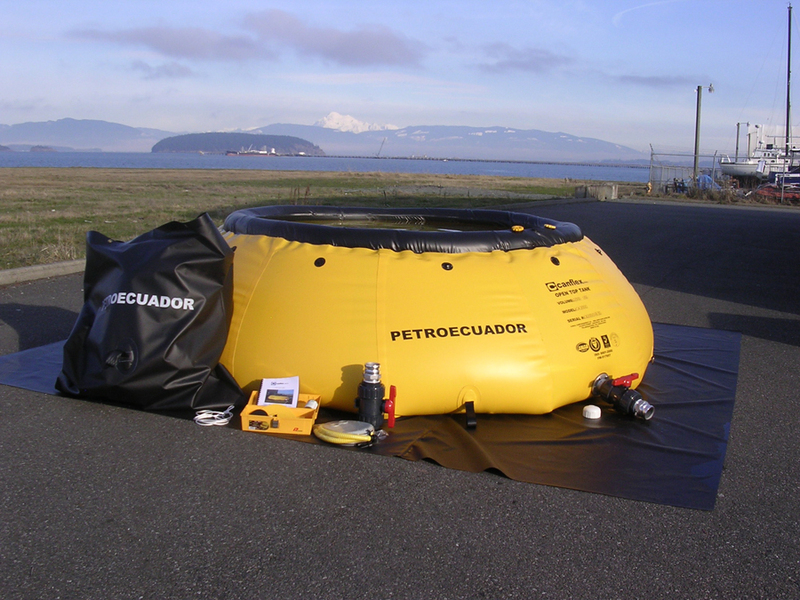 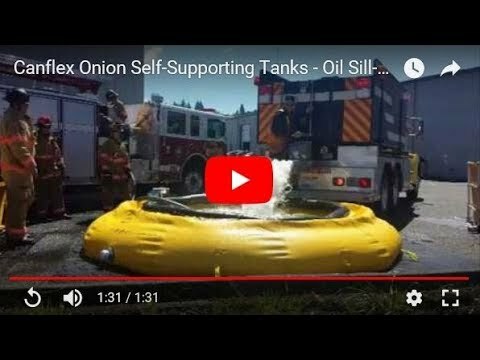 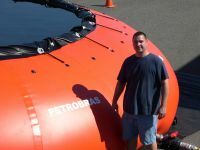 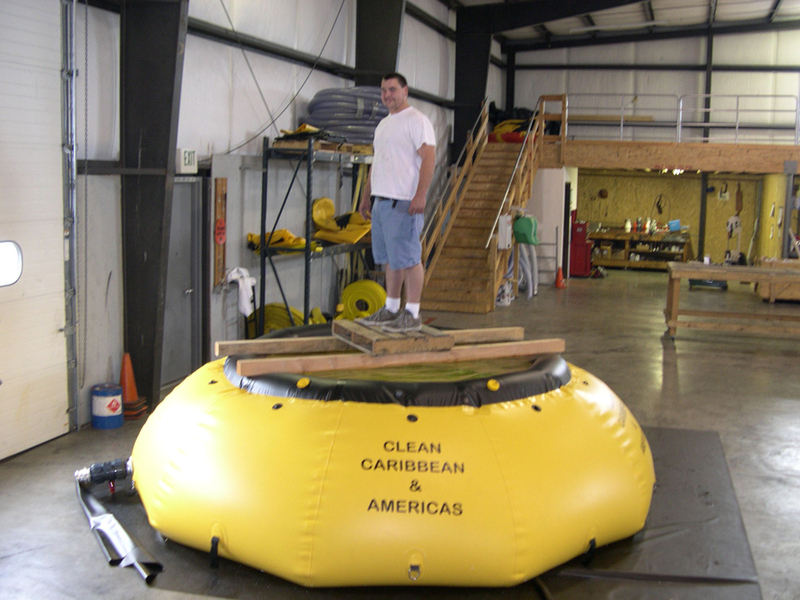 The Open Top Tanks are frameless self-rising circular “Onion” shaped reservoirs / bladders used for oil spill response, environmental operations, and spill recovery. 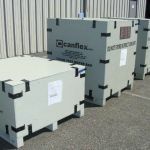 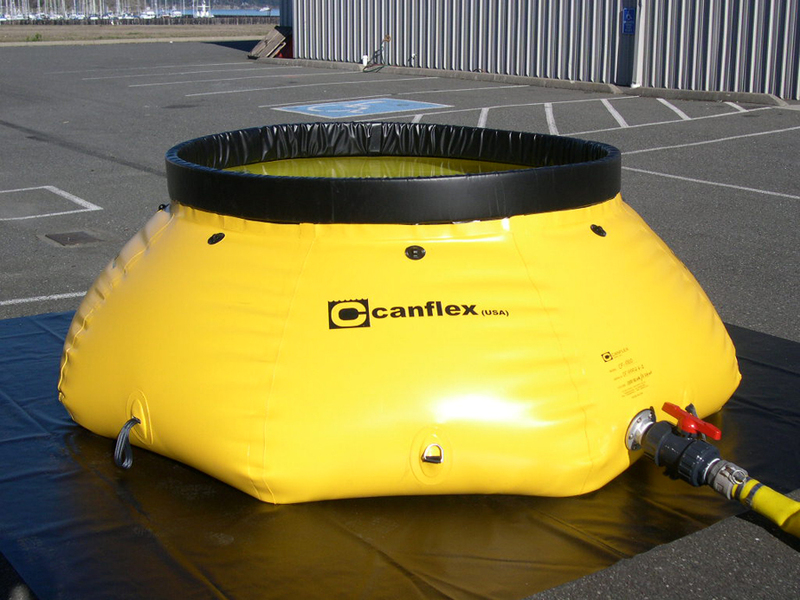 A wide range of special government approved material coatings are available for these tanks. 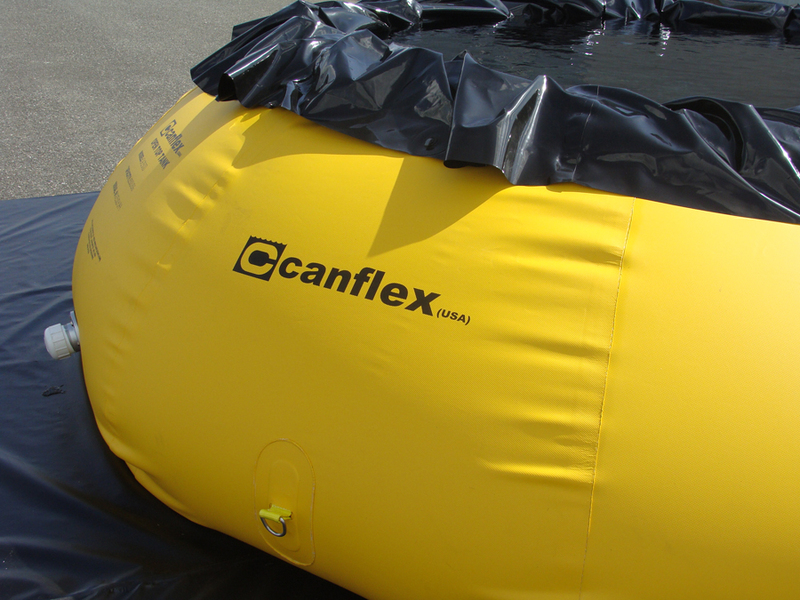 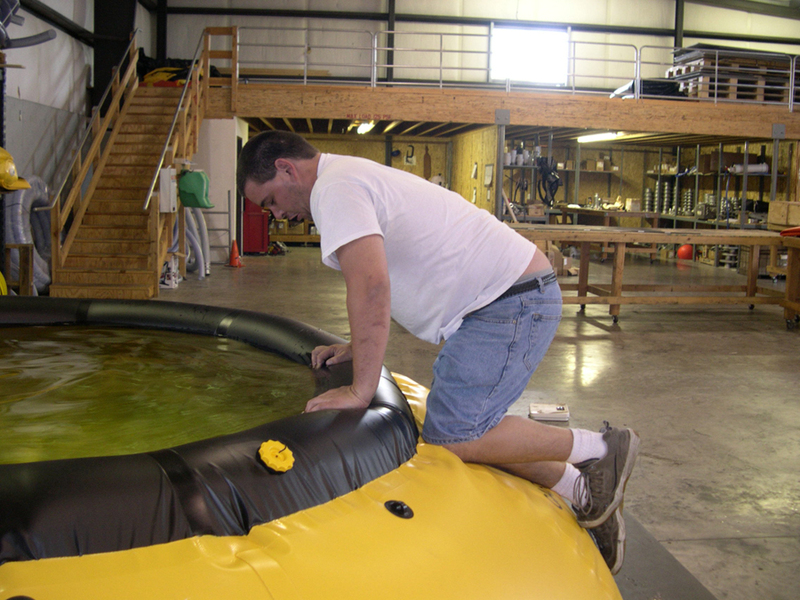 These tanks are made of flexible and oil resistant material. 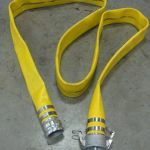 Their design, fabric and manufacturing process make them hard wearing and suitable for intensive use. 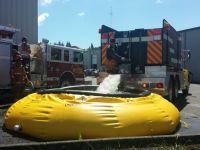 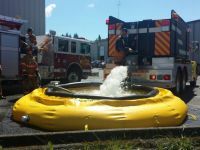 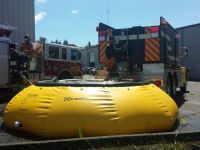 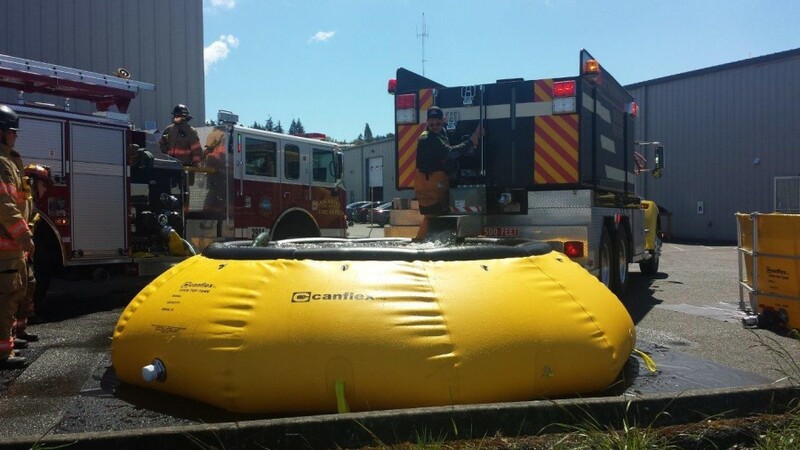 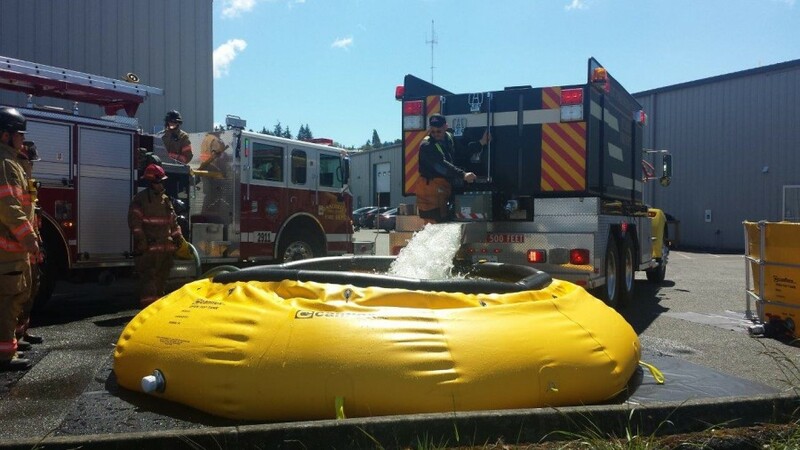 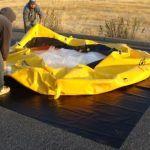 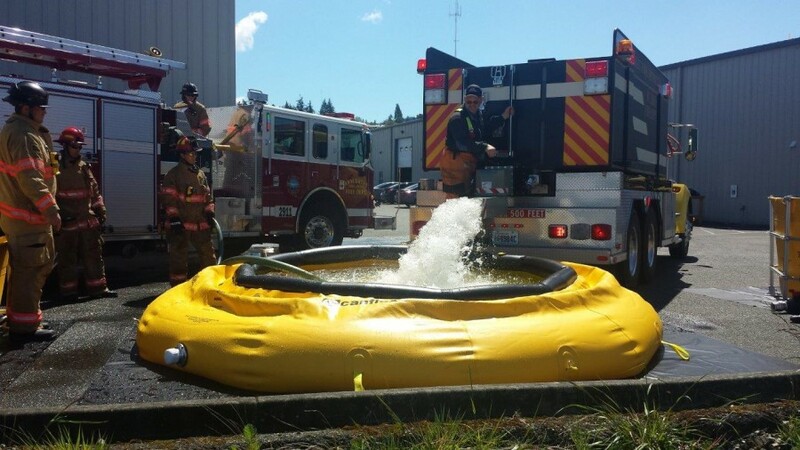 The Open Top Tanks have a self-rising / floating collar made of either closed cell foam or air filled, these are light weight, reliable, fast response units requiring no frame set-up. 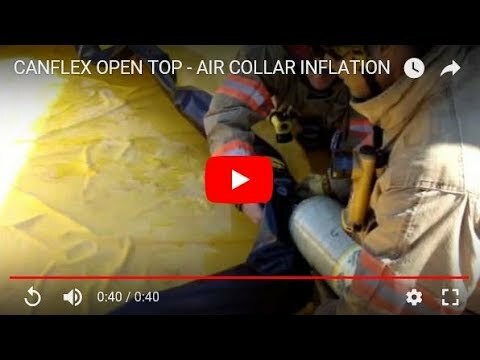 No frame is required as the floating collar rises automatically. 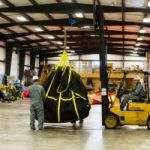 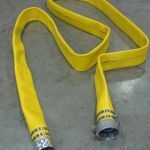 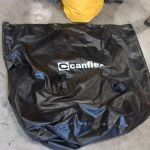 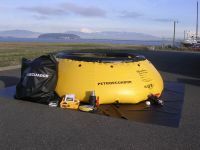 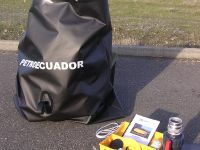 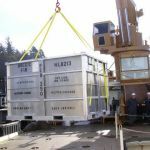 Tie downs, anchor points, hand holds, ground sheet, carry/storage bag and filling connections are all included. 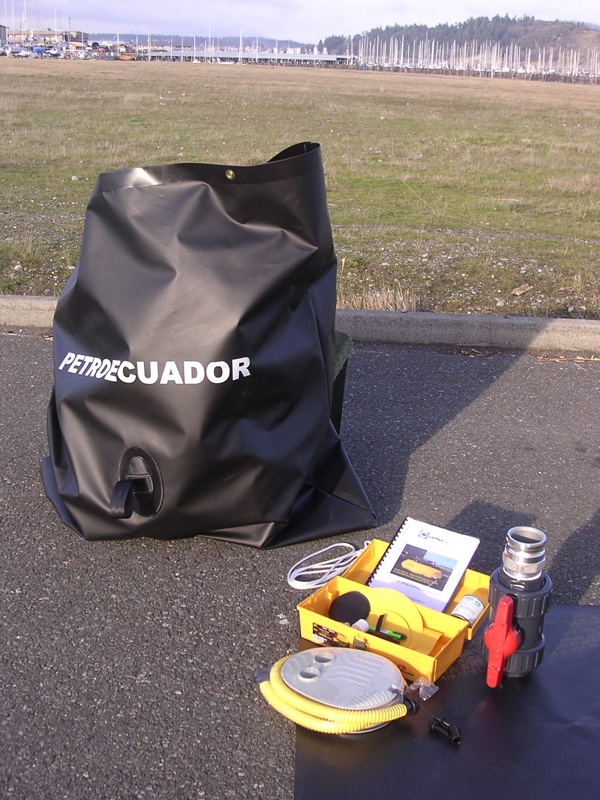 Available accessories include: replaceable inner liner, top cover, repair kit and outlets up to 6” are optional. 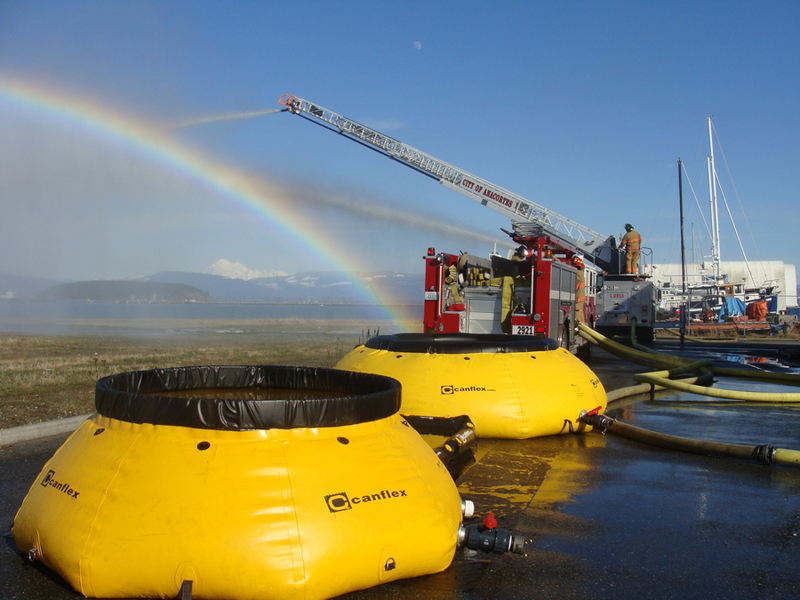 Fast response tanks that take just minutes to set up with limited personnel. 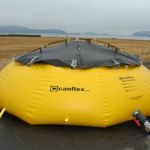 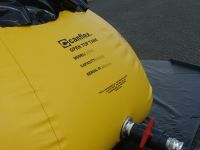 Deployable anywhere – the low profile of the Onion Tank provides stability on slopes up to 12.5 degrees allowing deployment with minimal site preparation. 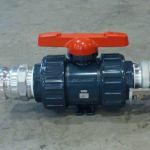 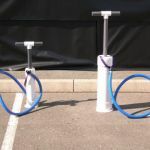 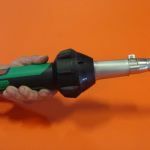 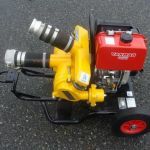 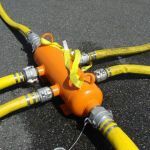 Multiple 2” thru 6” connections can be place anywhere on the tank providing the capability to discharge liquid quickly from any side of the tank. 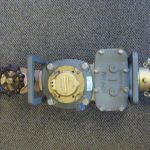 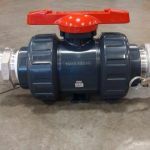 Material and all fittings are appropriate for either potable water or hydrocarbons. 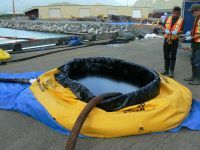 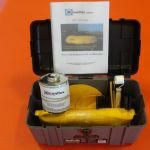 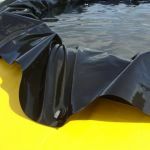 15 millimeter replaceable inner liner for hydrocarbons or potable water (optional). 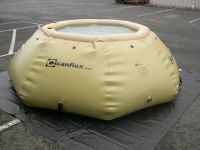 Loose fitted conical top cover (optional). 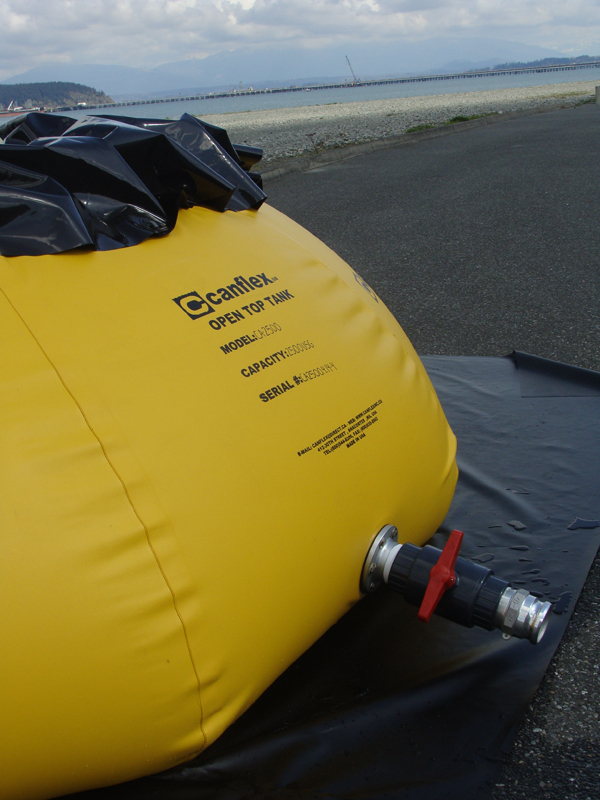 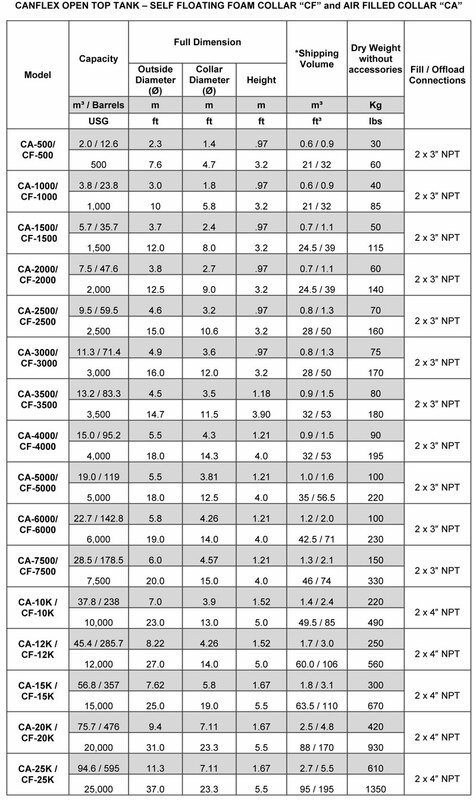 Capacities range from 2 to 94.6 m³ (500 to 25,000 gallons). 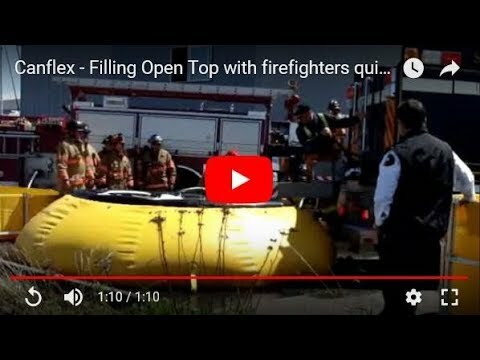 Filling Open Top w/ Quick Dump - Courtesy of Anacortes & Mt. 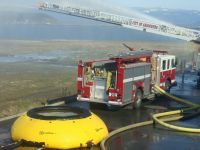 Erie Fire Depts.